An update to this bit of news has come from OrilliaMatters.com by way of the filed decision from the OEB. Reading the decision is informative. After studying previous instances where Hydro One has taken over parts of the energy services in other areas, the OEB said they aren't satisfied that that Hydro One will serve the Orillia area customers at the same (or similar) costs that would have existed had Orillia Power Corp. continued to distribute the service. 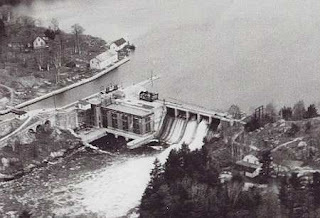 The Ontario Energy Board wanted additional information from Hydro One that would ensure customers would not be impacted by dramatic cost increases, and although Hydro One's cost structure included possible early savings for customers, their record (studied by the OEB) of other buy-outs indicated that the early reduced costs aren't likely something that would be maintained. Since I'm no analyst, that might be a little simplistic of the explanation but it isn't something that surprises me. I don't trust Hydro One, while Orillia Power has a history of doing it's best to keep costs down for the customers of Orillia. Between you and me, I am happy the OEB is also looking out for the customers. What may come of this in the future, I don't know. I can only hope that the deal is dead. Although Hydro One would have poured some money in Orillia in other ways, there wasn't much that said the distribution customers would continue to receive the same rates and consideration that Orillia Power has for it's users. Orillia customers are better off with Orillia Power as a complete entity (well, that's my personal opinion anyways) but I might feel that way because (a) I hate change, and (b) selling off even a tiny bit of Orillia's history is distasteful to me. If you want to read the decision yourself, the .pdf is available for download from here on the Ontario Energy Board's website . It's about time. While we don't seem to know (yet) why it happened, the Ontario Energy Board has passed down it's decision on the side of many local citizens ... though I don't suspect it was a decision made because a lot of of us were against this. 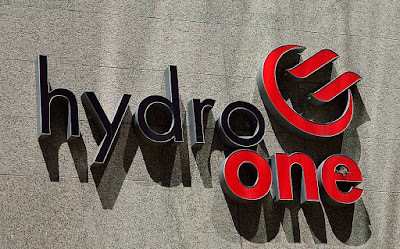 About a year ago, I started a petition to try and stop the sale of Orillia Power's Distribution side to Hydro One, mostly because I don't trust Hydro One (we people of Ontario are still paying off Hydro One's debt, even though we don't use it). It garnered just over 100 signatures, which I thought was pretty sad. People were against it, but nobody would stand up and fight for it. As it turns out though, I wasn't the only one who started a petition against this (see this petition, but I admit I wondered why she used the image I uploaded for mine), and this article. Early this morning an article on the OEB and Orillia Power published by Orillia Matters caught my eye, and as it turns out the OEB squished the current deal. I don't know why yet, and at the time the article was published, even the city doesn't appear to have a reason, although I'm sure the OEB must have one, or the deal would have gone through. I'm thankful it hasn't been approved but ... it appears that (according to OrilliaMatters.com) our Mayor seems to feel that it might not be over yet. That's rather frightening to think they might be able to revive the deal, but the reason OEB didn't support the deal could be something the City of Orillia and Hydro One can change ... nobody will know until the decision is fully studied.